My hyper neat-freak hubs who has the most annoying OCD of being neat was on the loose on Sunday! Coz CNY is around the corner. He is one who will start to be the neat inspector before CNY each year and before his mum, the Queen returns from overseas 😆 When his OCD is unraveled, I will stay far, far away from him, for him to do his annoying deed as he is not one who will quietly discard, clean and re-arrange without hollering, criticizing (about how untidy we all are) and demanding for things from wet wipes to plastic bags, staplers, pen, etc. etc. Wait till he is in my shoes with a full-time job of managing his 3 demanding kids on top of being his PA, his mum’s PA and driver, the kids’ driver, the cook, the accountant, the maid with no pay and the wife. I’ll wager he won’t stay in this one-leg-kick job for more than 2 days. From 7:30 a.m., this neat freak sat next to the filing cabinet to re-arrange all the files, went through every file and removed documents that are no longer necessary / important, wiped the shelves and re-arrange the files, all the way until 1:30 p.m.! This is insane OCD! Now, this filing cabinet which I’ve always hated to open for fear of files tumbling down is super neat with sparkling clean shelves too! The files are now pleasantly easy to remove and are not bursting with documents. Who needs Marie Kondo when I have my very own Marie Kondo at home? My hubs’ modus operandi of tidying is pretty much the same as MK, which is throwing most things out (he loves throwing things!) and keeping things that spark joy to him. But he’s annoying coz sometimes he throws my things and keeps them at different places without telling me! When I ask, he says “I don’t know” or “I forgot already” This always makes me rip-snorting mad. In the evening, we went to the hubby’s uncle’s house to have an early Yap family CNY reunion dinner as some relatives had to return overseas this week. It was a great reunion with traditional Hakka dishes, lots of meat, lots of photography and a traditional ang pow giving ceremony. Below: our girls with their pretty aunt W who is the hubs’ cousin and the same age as Alycia (16yo this year) and granduncle #2 from New Zealand. With aunt W and uncle R (hubs’ cousin) from New Zealand. Today I managed to steal a few hours in the afternoon on my busiest day of the week to meet a couple of friends. My childhood friend, J has come from Singapore and the last time we met was exactly 13 months ago when I was in Singapore to visit my newborn twin niece and nephew. I cancelled Cass’ Mandarin tuition class and piano class so that I could meet up with J & SP. Thankfully hubs could help to fetch Drama Queen to her taekwondo class. I could not join my friends when they had lunch in Shah Alam as I had to fetch Drama Queen back from school and settle the girls’ lunch. Took Grab to Happy Mansion @ S17, PJ later to join them for dessert at Kwong Wah for the best cendol in town. If you’re staying in the Klang Valley, you’d have probably heard of the cendol at Happy Mansion. The very addictive cendol is served in petite bowls piled sky-high with ice so finely shaven, it almost resembles the texture of ice-cream. Tucked away in a quaint little shoplot in Happy Mansion flats in Section 17, Petaling Jaya this tiny shop is a family business that has been going strong for 60 years now. It’s currently run by the third generation of the family, with their signature cendol and ice kacang offerings being the main attractions. The waves of customers streaming in and out of the shop all day long is testimony to how much of a delicacy their desserts have come to be. Hubs brought us to this shop several weeks ago to try Kwong Wah’s cendol but we had to detour when we saw a long beeline outside the shop. The cendol (RM5.50) is one of the best I have tasted in the Klang Valley thus far. It is a rich and creamy concoction of fresh santan (coconut milk) and Gula Melaka. The pandan-flavoured, green jelly strips that sit atop the mound of ice shavings are firm yet smooth with a hint of pandan aroma. The assam laksa is undeniably very toothsome as well. Later when the hubs came to pick me up, I had another round of cendol, which is really very addictive! While waiting for the hubs to pick me up, something interesting caught my eyes. Just a few shops away from Kwong Wah, I saw a swarm of people queuing outside the shop; on the floor outside the shop were tubs and tubs of CNY cookies wrapped inside huge red plastic bags, ready to be picked up by customers. Never have I seen so many types of CNY cookies housed inside a shoplot for sale. The entire shop sells only festive cookies and dried meat. After CNY, the shop would be selling Hari Raya cookies followed by Deepavali and Christmas cookies. I later found out that the shop, Milky Way Cookies is a manufacturer of festive cookies. They supply their cookies to hotels and shops as well. The shop was super crammed with last minute shoppers like me hunting for their favorite cookies. Choosing the cookies can be a headache as there are close to a hundred type of cookies and homemade snacks to choose from! As there were no more shopping baskets left for me to place my cookies, I could only cope with no more than 3 tubs of cookies with my hands. Everyone was buying at least 5 tubs of cookies and I had to queue up for about 15 minutes just to pay. Friends since primary school, SP (on my right) used to swoop the top few positions in the entire standard all through her primary school days. The man opposite me is her hubby, who is a doctor. J (on the left) used to be my sidekick and we had a lot of fun making fun of people’s names and just about anything. Yeah I know we were mean and we still are and we can only be this evil when the both of us get together. We’re very good in gossiping too 🤣, right J? I know you’ll be reading this. Can’t wait to meet up with you and everyone else again when Jenn comes back from the US of A in December this year. For the past one week, I’ve been sitting in front of my computer typing away from morning till night with short breaks in between to cook and chauffeur the girls. Since early last week, I’ve churned out over 30 articles, most of which must be submitted to the advertiser within 24 hours. On some days, I have to dish out 5 articles in a day on topics that I have no frigging knowledge on like motorbikes, hybrid bikes or truck claws and snow chains 😂 That’s when I have to do a little research and reading. I told the girls that this feels like doing a short thesis 😄 I love it that after I’ve submitted a post, I gain new knowledge as well. My brain is half fried. I’m burnt out to a crisp and stressed out. But it’s good stress and I’m not complaining. It’s God’s blessings. I am very thankful that I am still able to earn in USD during such times when the global economy is bleak. This is the eleventh year that I’m still blessed with something that I love to do. I love it that at the end of each month, I multiply my earnings by four when I convert the earnings from USD to RM! Praise God. The earnings are not a lot but enough for me to buy what I want every month and keep some for savings. And no, I don’t mean Chanel bags and pink diamonds ok.
OK, back to kitchen talk! Thankfully I now have a Philips Pressure Cooker (PPC) to help lessen my burden and cut cooking time. Porridge was cooked in our jar rice cooker. I love it that while the chicken drumsticks are cooking in the PPC, I can stir-fry the cabbage in the wok on the stove. More time is saved. The girls loved the braised chicken drumsticks! At a church wedding of a very close pal last Saturday, I watched with envy cute little girls dressed up in kids high low dresses and flower girl dresses as they paraded into the church sanctuary holding flowers. It reminded me of the time when Sherilyn was a flower girl at her Sunday School teachers’ church wedding. They are a couple who taught at the Sunday school who eventually got married. Sherilyn had just turned two when she was the flower girl, dressed up in a resplendent white sleeveless flower girl dress with a white halo headgear. She was such a cutie who attracted so much attention on that day. At 14 years old now, she no longer likes to be in gowns and elaborate dresses and would only wear dresses at special occasions like weddings. When Cass was younger, she would wear anything that I got her. I would doll her up in cute little tutu dresses, ballerina tutu dresses and flower girl dresses online that I bought. She would obediently be the model for my online store and always gave me her most cheerful dimpled smile. I was so proud of her. But when she turned 10 years old, everything changed. She no longer wanted to be in dresses, much less flower girl dresses and gowns. At our close pal’s wedding last Saturday, she was all sulky and glum when I forced her to wear a dress. Last year, Cass wore a white flowy dress that looks like some first communion occasion dresses to her baptism. That was the last time she wore that beautiful white dress (which she wore less than 5 times) and I guess I now have to donate that white dress which I got from the UK to someone who would love to be in it. The one advantage of falling sick and being crazy busy is that you lose weight, naturally, without exercise. And that’s just what happened to me. It all started several months ago when our part-time maid of 6 years went back to Indonesia for 6 weeks to get married. Without her coming to help us out 5 times a week, life was tough and crazy. At that time too, I had a lot of online assignments to write and submit with tight deadlines, right until now. I was constantly rushing from one task to another, without having proper sit-down meals. I lost some weight from the thick of things. Come December 2018 during the long school holidays, I thought that I would gain back the weight I lost as I did not exercise a single day but nope. I was down with a bad throat and cough for almost a month, lost my appetite, did not get a wink of sleep for days from the hacking and whooping and not being to eat what I wanted to eat. I lost more weight from this sickness. As a result, I lost close to 2kg within 3 months. 2kg for someone who has been at 46kg for the last 10 years is a lot of weight lost. I was even more thrilled to find out that I could slip into an XXS spaghetti strap top from Cotton On and the top is even loose on me, woohoo! Love this striking pink floral top which I got it at only RM30 from the Cotton On sale during the December school holidays. What a steal! Because of a smaller waist (both from the current weight loss and a big fibroid removed 1.5 years ago), I had to bring a pile of skirts to my tailor to have them tightened at the waist as I could totally not wear these skirts anymore. The skirts were dropping down my waist and even my smallest belt could not hold them up. If you have a chronic disease — such as heart disease, diabetes, asthma, or back or joint pain, you will most likely be advised by your doctor to start exercising regularly. Regular exercise can bring about some important health benefits. However, it’s important to talk to your doctor before starting an exercise routine. He or she might have advice on what exercises are safe and any precautions you might need to take while exercising. If you have a chronic condition, regular exercise can help you manage symptoms and improve your health. Regular exercise can help you lose weight and stay fit. When you exercise, you use muscles. This helps build muscle mass, and muscle tissue burns more calories — even when you’re at rest. 10 pounds of muscle would burn 50 calories in a day spent at rest, while 10 pounds of fat would burn 20 calories. The most effective way to increase metabolism and burn more calories is by aerobic exercise and strength training. Both are important. Strength training becomes especially important as we get older, when our metabolisms tend to slow down. One way to stop this is to add some strength training to your workout at least a couple of times a week. The largest muscles (and therefore the largest calorie burners) are in the thighs, abdomen, chest, and arms. People who want to build muscles fast take supplements, such as those from https://musclesfax.com/ to assist in building muscles. If you prefer to take a natural approach in building muscles, you need to engage in some form of resistance training that will place a load on the muscles hard enough to stress them into getting stronger and eventually bigger. This load can be gravity in the form of calisthenics like pushups, pull ups, sit up, lunges, dips, or in the form of resistance training like free weights, weight training machines, or tubing and cable pulley systems. Aerobic exercise can help improve your heart health and endurance and aid in weight loss. High-intensity interval training is generally safe and effective for most people and can take less time. In high-intensity interval training, you alternate exercising at high levels of intensity and exercising at a less intense level for short periods of time. Even activities such as walking at higher intensities count. Strength training can improve muscle strength and endurance, make it easier to do daily activities, slow disease-related declines in muscle strength, and provide stability to joints. Flexibility exercises may help you to have optimal range of motion about your joints, so they can function best, and stability exercises may help reduce the risk of falls. With regular exercise, not only do we feel good about our body, we feel healthy and happier, it increases our energy levels, our skin glows, we sleep better and it reduces our risk of chronic diseases. If you have not started on an exercise regimen yet, I recommend you to do so right away to reap all the benefits that come with exercise. The very first time I used my new Philips Pressure Cooker (PPC) was last week. I was a nervous wreck as I was worried that I would cause an ‘explosion’ and scar my pretty face (ahem!) if I release the pressure regulator at the wrong time. I have heard of horror stories on ‘explosion’ while cooking with the PPC. Well, accidents do happen. Even with the German made very very expensive TMX, freak accidents happened too. Throughout cooking this dish, I had to video call mum on Whatsapp to ask her for instructions, HA HA HA. Don’t laugh ok. I can’t afford to be hospitalized. The mil is overseas, hubs is super busy with pre-CNY functions and if I am injured, no one will care for the girls. Ok, I know I sound a tad exaggerated here. I just can’t be dysfunctional. Period. Sauteing the pork, shallots and garlic in the PPC under Bake mode. Once sauteing is done, press STEW (20 minutes), and SEAL the pressure regulator. Once STEW cycle is done, add in the eggs and press WARM, then let the pressure release automatically. The meat is super tender and juicy! What I love about pressure cooking is that meat will always turn out tender despite a short cooking time. Basically the ingredients needed are pork belly, soy sauce and dark soy sauce (key ingredients and I use organic ones), rice wine, oyster sauce (optional) fried shallots (fried separately), five spice powder, chopped garlic and shallots and sugar. I only use organic and non-GMO soy sauce and dark soy sauce. There are plenty of recipes for Lu Rou Fan on the internet and You Tube which you can Google for. I followed a few and then tweaked mine. This dish is a stunning show stopper yet easy to cook with basic ingredients from the kitchen. Kids and adults alike will surely love it. The beautiful and bright colour of beetroots can make anyone fall in love with it, yet it is often ignored, perhaps because of its distinctive earthy taste. Beetroot has been gaining amazing popularity as the new superfood around the world. It’s low in fat, full of powerful antioxidants, rich in Vitamin C, and helps in the absorption of iron. Both the leaves and the roots can be eaten. While the pink root is sweet, the dark green leaves are bitter but very rich in calcium, iron and Vitamin A.
Beetroots are best enjoyed raw and uncooked as cooking may destroy most of its nutrients. You can add them in salads or easier to just juice them up. I love eating beetroot, in all forms, whether it’s beetroot juice, salad, roast or soup. I started to eat beetroot frequently when I was severely anemic before my fibroid removal surgery 1.5 years ago. Beet root is rich in iron. Preparing beetroot can be a major turnoff and hassle for some as the uneven and rough skin is a tad hard to peel off even with a fruit peeler. And the red juice splatters can be pretty messy. Busy people who are always on the go and rush may not have the time to prepare beet root for juicing, salad or soup. And this includes yours truly. The solution to this is beet root powder. With beet root powder, you can include this superfood into your diet at anytime, hassle-free. I found a good brand of concentrated beet root juice powder from https://www.joypremix.com/ and I am so in love with it! With such convenience, I can now drink beetroot juice whenever I feel like it and it takes just a minute to prep a refreshing beetroot beverage. The best part is JoyMix’s red beetroot powder is odor-less, unlike red beet juice that has an earthy smell. It is easy to drink, making it ideal for children and even some adults who find the smell of beetroot distasteful. Even Cass who does not like the taste of raw beetroot loves JoyMix beetroot powder. She says it tastes like Ribena! I think so too. This, you got to try it to verify it! We like our beetroot powder mixed with Korean fruit vinegar. I add one heap teaspoon of JoyMix beetroot juice powder and 2 tablespoons of Korean fruit vinegar into 200 ml of water and top up with lots of ice cubes to make a super refreshing and delightful drink to chillax when I feel hot after cooking in the evening. Alycia loves to guzzle down this refreshing drink to quench thirst after working out in the gym or when she’s back from kickboxing / Muay Thai class. I love the au naturel maroon color of the beetroot powder from JoyMix! Excellent Mixability – The red beetroot powder from JoyMix has a very fine texture and excellent flowability to prevent caking and lump formation. It will easily dissolve in water and other liquids alike and won’t curdle. You can even mix it in flours for baking cakes and pastries. I will surely restock my beetroot powder from JoyMix when the existing stock runs low. JoyMix’s health food products are ISO22OOO/ HACCP certified. Muslim consumers can safely consume their products as they are HALAL CERTIFIED. Conditions Liver – Beetroot contains betaine that conditions liver and stimulates the production of enzymes. It detoxifies the body and makes you feel fresh and rejuvenated. Lowers cholesterol – A 2011 study on rats found that beetroot extract lowered total cholesterol and triglycerides and increased HDL (good) cholesterol. It also reduced oxidative stress on the liver. Lowers blood glucose – Though high in sugar, beetroot actually helps in regulating your blood sugar levels. Studies have shown that it does not lead to high glucose concentration in the blood. This simply means that the natural sugars in beetroot are released very slowly in the body and thus, prevents sudden spikes. In the form of the juice, it may actually help diabetics. Rich in Folate – Joymix’s red beetroot powder is rich in folate that is necessary for production and differentiation of cells as well as maintenance of DNA structure. The high folate content makes it a great option for young children, teenagers, and pregnant women alike. Reduces Blood Pressure – Betaine in beetroots reduces blood pressure by lowering homocysteine levels in the body. Joymix red beetroot powder contains high amounts of betaine that reduces the chances of high blood pressure, heart attacks, and strokes. Great For Older Adults – Various studies have found beetroot to prevent and halt the progress of dementia in older adults. Regularly consuming beetroot juice can assist in keeping dementia at bay. Sharpens Minds of Students – The high nutrient content of beetroot and its effect on blood flow enhances the cognitive functioning of the brain making it beneficial for students and teenagers. Ideal For Keto and Vegetarian Diets – People who are following a keto or a vegetarian diet will find it easy to incorporate red beetroot powder to their diets as it has low calories. Boosts Sports Performance – Beetroots have betaine which improves cardiovascular health and blood flow. It increases the rate at which oxygen reaches cells and boosts the performance of athletes and sportspersons. May Prevent Cancer – The antioxidant betaine which is present in rich amounts in Joymix’s red beetroot powder has been found to protect the body against different types of cancer. It protects DNA structure in cells against damage, which is a primary cause of cancer. Improves Digestive Health – Beetroot improves digestive health by stimulating the production of enzymes and HCL in the stomach. It also aids in the absorption of specific vitamins, minerals, and proteins. Excellent for Weight Management – Joymix red beetroot powder is excellent for individuals who are focused on weight management as it contains low calories while being nutritionally dense. Sharing is caring 😘 Read below to get a discount on your beetroot powder! JoyMix is now having a promotion on their health products from organic soy powder to collagen, Bentong ginger powder, macha latte powder, chia seeds, diabetic foods and of course beetroot powder. Just key in discount code: JOYLOVE during checkout to enjoy a 10% discount on their products! The promotion is valid from 1 January 2019 ~ 31 March 2019, so hurry and get your beetroot powder or any health products before this offer expires! KidZania Kuala Lumpur is an interactive edutainment centre where children can experience the world of adults in a replica of a real city. There are various role-playing activities specifically designed to aid physical and intellectual growth. Kids have a choice of over 100 different professions in more than 60 different establishments. Be a surgeon, a fire fighter, a journalist, a pilot, a mechanic, a model, a doctor, a painter, a radio DJ and an actor, among others. The first time that Cass went to KidZania was 1.5 years ago when she was invited by her classmate to her 9th birthday party. After spending half a day at KidZania and earning lots of kidZos, Cass fell in love with the place and was reluctant to go home. From time to time, Cass still pesters me to bring her to KidZania Damansara so that she could try her hands on other ‘jobs’ that she did not have the time to try the previous time and to utilize all her kidZos. I found a ticketing platform that I can get cheaper KidZania online tickets, at Tripcarte.Asia. Tripcarte.Asia provides cheap Kidzania tickets and interesting Kidzania promotion to be enjoyed by all. What I like about Tripcarte is that they have a FlexPlus ticket system where no reservation is required and you can go to your purchased destination at anytime (any day and any time of open hours) and don’t have to get tied down to rigid schedules. This system suits me perfectly well as my hubby is always tied down with work and can only confirm his availability at the eleventh hour. Because of this, it is always hard for us to buy tickets to visit places. With FlexPlus, I can purchase the tickets first and the tickets are valid for 6 months. If we decide to cancel our visit plan, we can get a guaranteed refund! On the day of your visit at KidZania or to any destination, all you have to do is present a QR code (which you’ll get instantly via email after payment) at the online ticket counter and walk right in with no hassle of printing out the tickets. Isn’t this ticketing system the best? It suits busy parents who cannot confirm on the date of their visit. 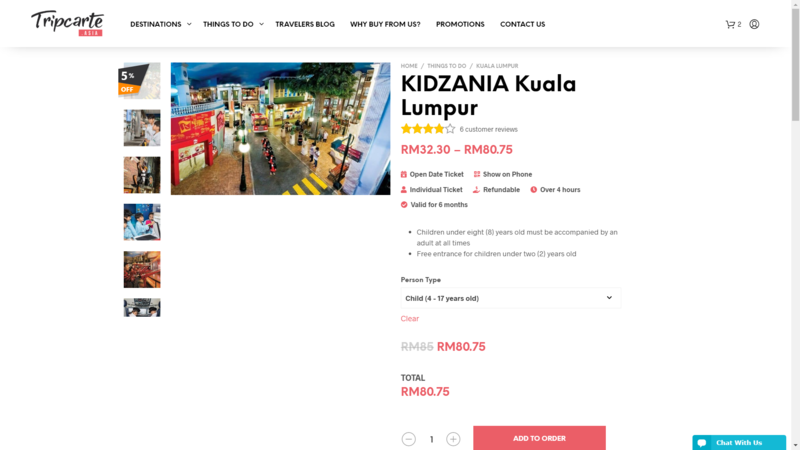 All parents are welcomed to experience the best of Tripcarte’s Kidzania Malaysia Promotions 2019 as this attraction is labelled as one of the best kids activities in KL. Do share Tripcarte with your friends and family members. 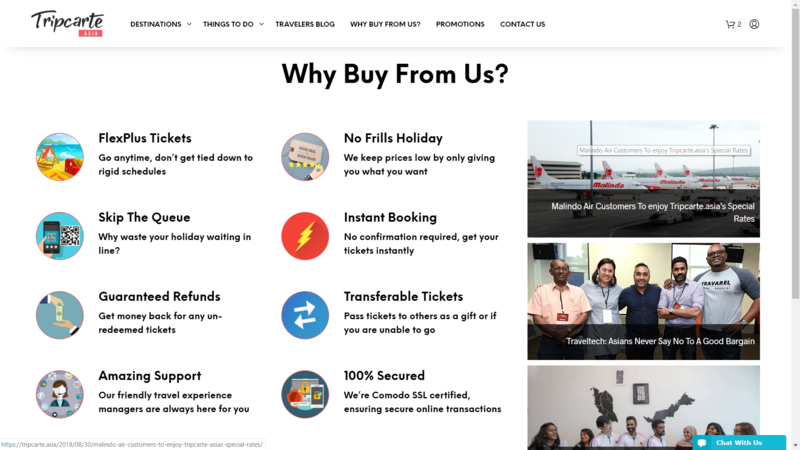 They will definitely love this hassle-free and worry-free ticketing system. Alycia and Sherilyn are both attending kickboxing and Muay Thai classes now. They love it! Well, my girls are not really girls. They prefer to indulge in boys’ stuff. When Alycia was about 7 or 8 years old, she was obsessed with Ultraman, guns and Doraemon and then progressed to something called One Piece figures (some figurines on fighters). And fighting? It’s right up her alley! Though she comes back from school at 5 p.m., goes for tennis lesson for half an hour from 5:30 – 6 pm, then proceeds to the gym for another half an hour, she still has the energy left for 1.5 hours of kickboxing or Muay Thai at night. I thought that the coach will be gentler on girls but hell no. The exercises are really rigorous and exhausting, as if they are in some kind of boot camp. When I fetch the girls after their martial arts classes, they are always soaked to their bones in sweat. And the next morning, I see AcuStop plasters pasted on their legs! They get body aches all over but not a word of complaint do they utter to me. Medical clinics rely on a variety of equipment with which to treat patients. These machines allow doctors to examine the insides of people’s bodies. They also allow physicians to diagnose a host of complicated illnesses that otherwise might go undetected. When you need to furnish your own medical clinic so it can serve a variety of patients, you may want to shop online for the latest fixtures. You can shop online to find stethoscopes, x-rays, and other laboratory outreach solutions that allow you to run a successful medical business. A significant amount of being able to take care of patients successfully involves being able to see the inside of patients’ bodies. You have to be able to detect illnesses that might be lurking in bones, organs, and muscles. Even if you were to perform a manual examination of a person’s body, you may not be able to detect illnesses accurately without using some type of imaging solution. The website sells x-rays, CAT scan equipment, MRIs, and other imaging machines that are found in any standard medical clinic. You can find out how much it costs and how the machines are used. You can also discover some of the newest models that you may have never before seen used in other locations. If you are not sure what machines to invest in for your clinic, you can contact the company online and ask questions or have concerns addressed about the ones for sale. You can equip your medical clinic with the newest innovations so it is ready to treat patients in all states of health. Another aspect of providing good medical care involves being able to carry out lab tests. You need to examine people’s blood and tissues to find and treat illnesses. The website offers lab solutions of all kinds that allow you to run a successful medical clinic. You can learn more about these options by going to the website today. A successful medical clinic has a variety of medical equipment on hand. You can find out what your options are by visiting the website today. The mil left for her 1.5 months long vacation in Hong Kong, Taiwan and Japan yesterday. Her departure means lesser time for myself and more hectic days ahead for me as I will have to be in charge of cooking the children’s meals. For those who read my blogs long enough, you would have read umpteen times on how I lamented that cooking is like a chore to me. It’s a chore as I have too much on my plate, from being the driver to the tutor, the financial controller, the PA to the hubs and mil, the cook, the wife and the mother on top of having to work from home. This year I have more trips to make daily chauffeuring the girls around for tuition and activities. Give me a live-in maid, bring on the cooking! I don’t mind cooking (sometimes love it too) but I find all the prep and washing up too time consuming. We do not have a dishwasher at home simply because we cannot possibly find any space in our tiny kitchen that can fit in one, unless we put it outside our unit! Here’s my first homecooked dinner for the year. I always start off with the easiest to cook, which is a one tray baked dish and the girls love this sort of dish to bits. Baked chicken, potatoes, garlic and onions; blanched broccoli and braised arrowroot pork (leftover from yesterday dinner). No rice for dinner and everyone was so happy. When the mil is around, rice is a must on the dining table every evening. Wait till the cooking momentum swings smoothly and I’ll venture on to more exciting dishes! A staple of first dates, dates in general, and just a good time to spend with family or friends, is to go out to eat. It’s a wonderful break from the monotony of home and the same dishes every week. It also helps cut down on the number of dishes that need to be cleaned. Instead, you can have someone else cook for you. Why just go to a fast food restaurant or somewhere you’ve been before? In fact, for those who particularly enjoy good seafood, then you should visit the best seafood Plano TX restaurant around. It’s called The Boiling Spot. If you eat a lot of seafood, you can probably tell by now between fresh seafood and those that have been sitting in a freezer for a few days. 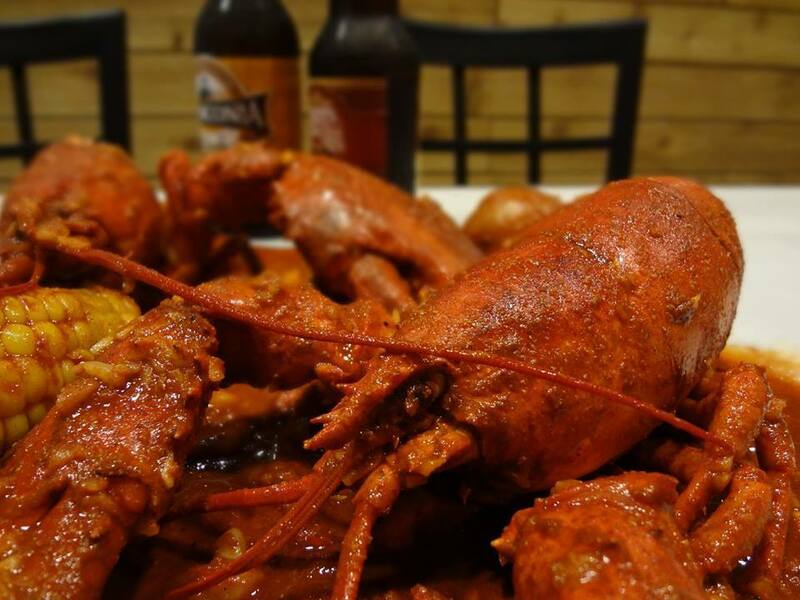 That’s why when you sit down at The Boiling Spot, you’ll be blown away by their cajun dishes. 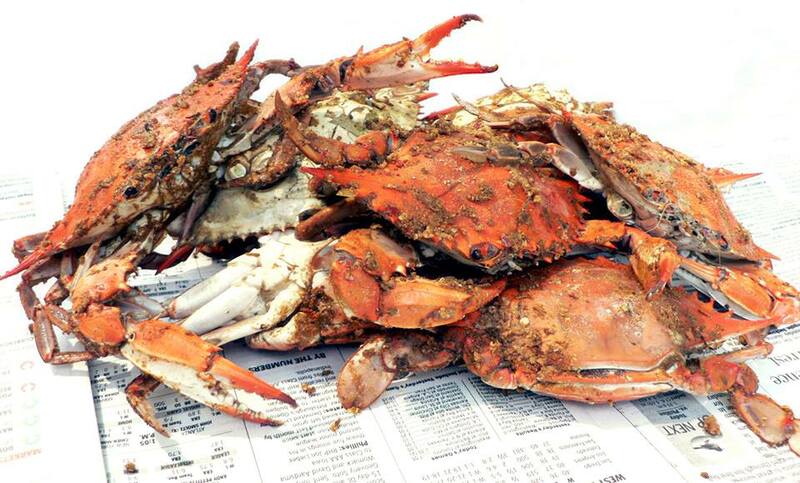 Each dish is made from fresh seafood of the highest of qualities. Their chefs are passionate about the food they cook and it shows. They go the extra mile in delivering mouth-watering flavor to create a flavorful experience that you won’t soon forget. The menu alone should have you at the edge of your seat and ready to cancel any prior dinner plans in order to head to The Boiling Spot instead. Picture some of these items. For those who want to bring a large group to try the seafood out, then you can enjoy the huge platter of food the restaurant offers. With your selection of how hot you want the food to be, you can enjoy a sumptuous meal of King, Snow Crab, Jumbo Shrimp, Sausage, Clams, Mussels, Corn, and Potatoes all in one dish in their Colossal Combo dish. That’s just one of the many richly flavored meals you can select. For those who want to say goodbye to bland dinners, come to The Boiling Spot. The Montessori approach to education views children as natural learners who are eager to acquire new knowledge from an early age and who benefit from a supportive learning environment. Numbers have a very practical application in a young child’s life, so many Montessori math materials focus on helping children make the mental leap from the world around them to the realm of the abstract. Maria Montessori, the Italian physician who first formulated the educational philosophy that bears her name, theorized that children were developmentally ready to start thinking of math in abstract terms around the age of four. Children do need learning materials, however, that will facilitate the leap from concrete reality to abstract thought. One of the these learning materials Maria Montessori developed are the Knobbed Cylinders. The Knobbed Cylinders are designed to help young learners learn how to discriminate between math-based concepts like width, height, weight and size. At first, children discriminate between dimensions visually, but as they grow more adept with the cylinders, they begin to differentiate between them on the basis of touch. Many mathematically based concepts that seem intuitive to adults are actually learned concepts. Montessori mathematics materials build upon other to enhance children’s understanding of these concepts and to increase their confidence in making the required distinctions. • Red Rods: Red Rods are designed to refine children’s visual understanding of length. Working with Red Rods enables children to discriminate between short and long. • Number Rods: Number Rods look a lot like Red Rods except that they have alternating blue and red segments. 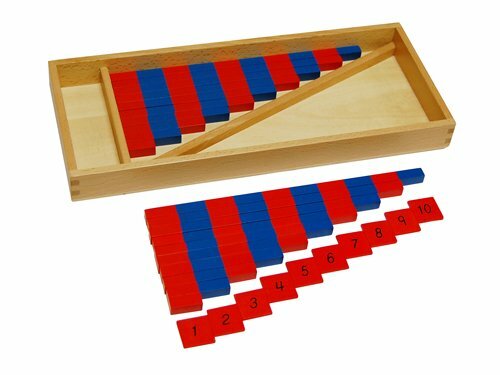 They provide an introduction to counting because children build with the Number Rods just as they did with the Red Rods, but counting is associated with the number of different colored sections on the Number Rods. 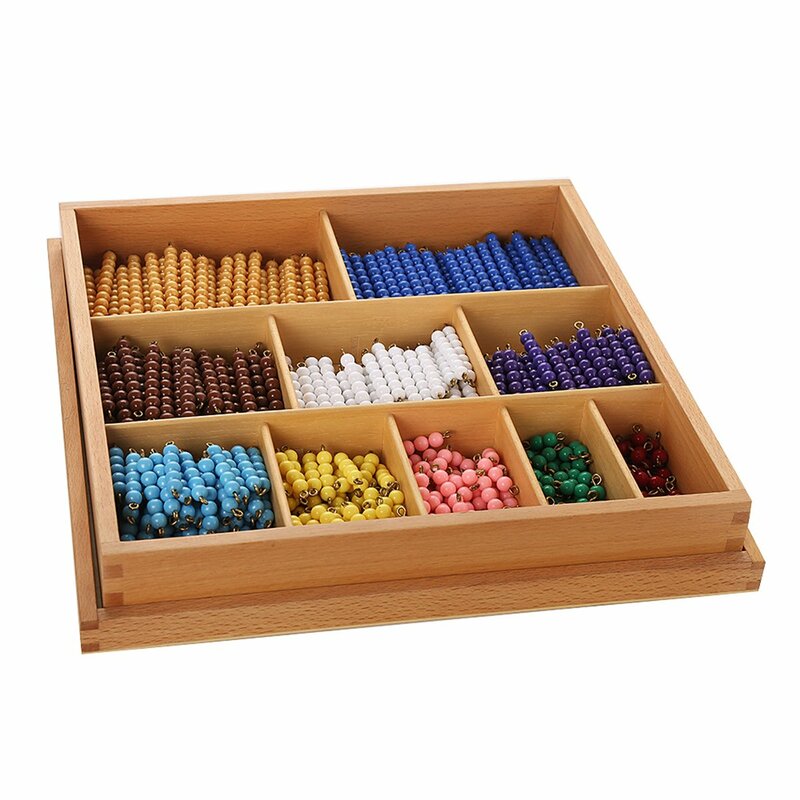 • Golden Beads: Golden Beads, which are sometimes called Montessori Math Beads, were designed to provide children with an introduction to the decimal system. By moving beads to different mats and boxes, children begin to grasp unit categories such as tens, hundreds and thousands, and to learn how those categories relate to one another. As a parent, it is essential for you to ensure that your child’s teeth are well taken care of. Compared to adult teeth, a child’s teeth are much more prone to fractures and cavities. That is why it is very important that children be taken to see a pediatric dentist for their dental check-ups a minimum of twice a year. Pediatric dentists have undergone specialized training beyond general dentistry to learn how to specifically deal with children’s dental needs. They have the qualifications and experience to care for a child’s mouth, gums, and teeth from infancy through the teen years. A pediatric dentist should have completed a Pediatric Dentistry course from an accredited dental school. A pediatric dentist should hold a license that allows her or him to practice dentistry within your state. Your state board issues and approves professional dental licenses. Licenses and certifications of dentists are usually displayed within the dental clinic’s reception area. You should always make sure to have proof that a pediatric dentist is licensed. It is very important to find a pediatric dentist who has good behavior management skills and knows how to deal with children in a friendly and professional manner. The dentist should greet your child with a warm and friendly smile and be patient and understanding throughout the entire dental procedure to ensure that your child feels safe and well cared for. Going to the dentist does not need to be a traumatic experience for your child if they have the right dentist who understands their needs and fears. Another important consideration when choosing a pediatric dentist is the location of their dental office. You are more likely to keep your appointments when they are in a convenient location. This also means less time in the car for your child. Your pediatric dentist should be knowledgeable on the various procedures for treating child teeth. He or she should be able to perform all routine dental care and also be experienced and well-informed on more complex procedures as well. On the 9th day of the new year, more than half the households in our neighborhood was plunged into total darkness that lasted over 7 hours. I found out from the Management office today that the power outage was caused by an explosion at the TNB station in Puchong which affected thousands of houses. The power outage started at 9-ish p.m. and electricity was only restored at 4-ish a.m. today. The outage happened on one of the warmest nights this year. Our country is currently experiencing a heat wave caused by tropical storm Pabuk. Alycia had to complete her homework in the dark, with a torch light in hand. Cass was thrilled to death over the power outage as she could move around the house with candles, as if she was camping in a jungle at night. She didn’t want the power to come back. The silly brat thinks that it’s fun to move around with candles and to sleep with all the doors and windows in our house opened to allow the breeze in. I had to sprawl on the bed like a starfish as it was too hot and I only managed to get a couple of sleep until all hours of the day and night. Hubs slept on the cold hard floor in the living room.